From March 14-28, a new seasonal event will bring a grim transformation to the battlefields of For Honor. Titled Black Prior’s Riposte, the event centers on Vortiger, the Black Prior, and adds a new limited-time 4v4 game mode called Battle of Attrition. The event also features a new look for the main menu, face-off screen, thematic orders, and themed soldiers and objectives. For a deeper look into the lore behind Black Prior’s Riposte, visit the latest installment of The Journals of Heathmoor, drawn from the extraordinary events of Season 5, Campaign 3 of the Faction War. Playing For Honor during the event immediately unlocks new emblem outlines for all players to use. 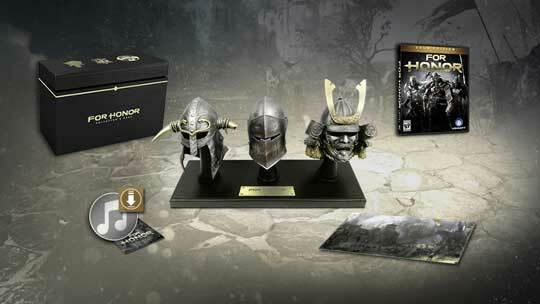 Players can also loot new event-exclusive items including weapons, the Vortiger’s Hawk ornament, Vortiger’s Riposte battle outfit, and Vortiger’s Dark Oath effect. 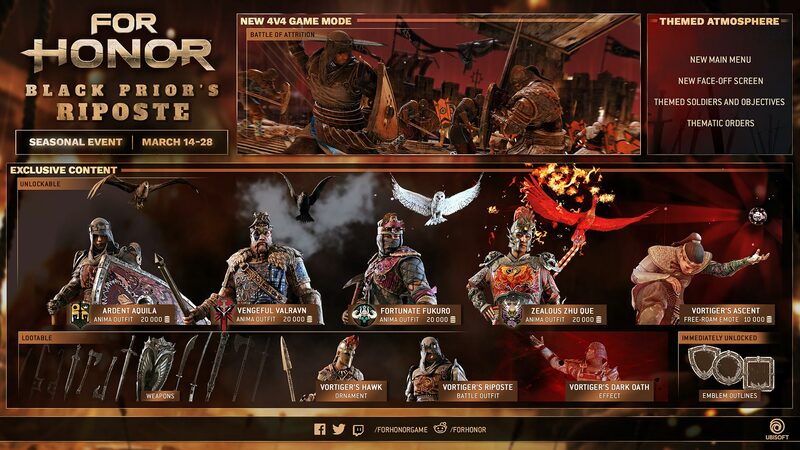 Additionally, new exclusive Anima outfits for all factions can be unlocked for 20,000 Steel each – Ardent Aquila for the Knights, Vengeful Valravn for the Vikings, Fortunate Fukuro for the Samurai, and Zealous Zhu Que for the Wu Lin. 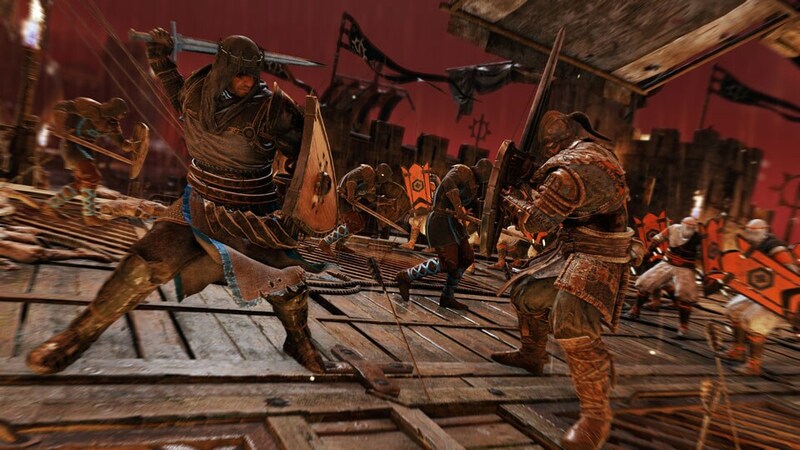 A new free-roam emote, Vortiger’s Ascent, will also be available for 10,000 Steel.